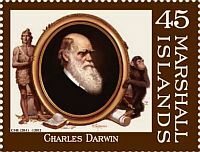 Marshall Islands 2012 "Great scientist of the world"
Printed by Pioneer Printing, Cheyenne, Wyoming, U.S.A.
On April 23, 2012, the Marshall Islands Postal Service issues 20 new stamps featuring great scientists of history. 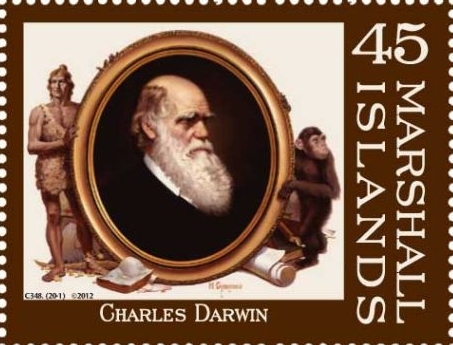 History has seen many great scientists who have made priceless contributions to the advancement of mankind, and in 2012 the Republic of the Marshall Islands issued new stamps to honor 20 of the greatest scientists with Charles Darwin and Carl Linnaues among them. Darwin, for instance, is famous for his theory of evolution through natural selection, while Edison is best known for inventing the incandescent light bulb. 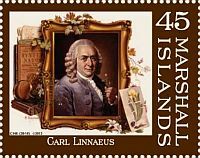 Newton is remembered for postulating his theory of gravity, and Linnaeus is renowned for developing a system to classify living things. 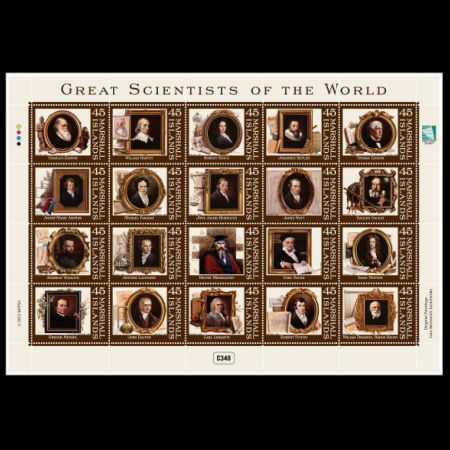 Among this great personalities Charles Darwin and Carl Linnaeus can be consider as contributors to Paleontology science. Charles Darwin was born in Shrewsbury, Shropshire in 12 February 1809, to a wealthy and well-connected family. He had initially planned to study medicine at Edinburgh University but later switched to Divinity at Cambridge encouraged a passion for natural science. His five-year voyage on HMS Beagle established him as an eminent geologist whose observations and theories supported Charles Lyell's uniformitarian ideas, and publication of his journal of the voyage made him famous as a popular author. Puzzled by the geographical distribution of wildlife and fossils he collected on the voyage, Darwin investigated the transmutation of species and conceived his theory of natural selection in 1838. Although he discussed his ideas with several naturalists, he needed time for extensive research and his geological work had priority. He was writing up his theory in 1858 when Alfred Russel Wallace sent him an essay which described the same idea, prompting immediate joint publication of both of their theories. The fact that evolution occurs became accepted by the scientific community and much of the general public in his lifetime, while his theory of natural selection came to be widely seen as the primary explanation of the process of evolution in the 1930s, and now forms the basis of modern evolutionary theory. In modified form, Darwin's scientific discovery is the unifying theory of the life sciences, providing logical explanation for the diversity of life. 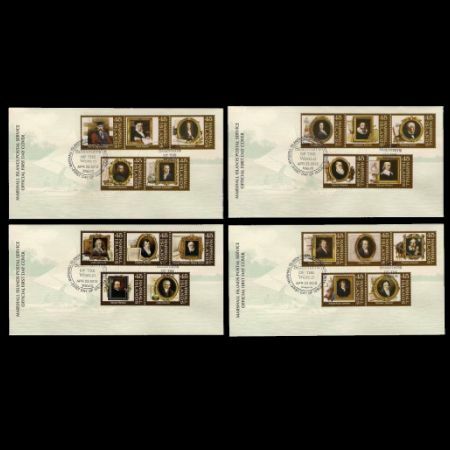 In recognition of Darwin's pre-eminence, he was one of only five 19th-century UK non-royal personages to be honoured by a state funeral, and was buried in Westminster Abbey, close to John Herschel and Isaac Newton. Darwin's work had far-reaching impacts on the development of Paleontology, Antropology and many other Biology and Psyology related scients. 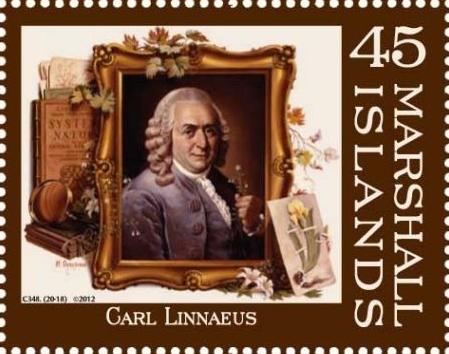 Carl Linnaeus, also known after his ennoblement as About this sound Carl von Linne , was a Swedish botanist, physician, and zoologist, who laid the foundations for the modern scheme of binomial nomenclature uses in all biology related sinces (include Paleontology). He is known as the father of modern taxonomy, and is also considered one of the fathers of modern ecology.